San Diego's wonderful rueda teacher, Tim Snedeker, will be a guest artist for Monday night's intermediate rueda class at Dance Asylum. Tim will teach a rueda de casino master class in Orange County on Monday July 29th at 7:30pm. Class will be $10. Learn new moves and techniques from a rueda master. Join us for a fun evening of learning and dancing. You won't want to miss this! There is a dobule whammy of live entertainment and dancing on August 13th! 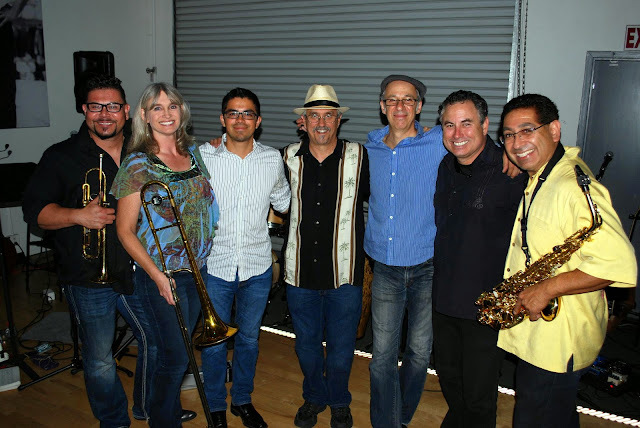 Tiempo Libre celebrates the release of their new Universal Music Latin Entertainment recording, Panamericano, at Pershing Square in downtown Los Angeles, CA! 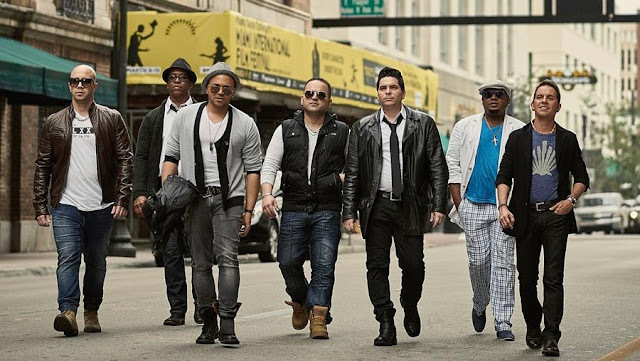 DOUBLE WHAMMY REMINDER: Los Van Van (Direct from Cuba) are playing at the Conga Room the same night but later that evening(click here for details). So come to this FREE concert and dance a bit, then go to the Conga Room to see Los Van Van. Two great Cuban bands on the same night...Can't beat that! Is it already the end of the month!?? Wow how time flies when the Summer is just getting started. The end of the month means, It's Salsa night at Club M at the Hotel Grand Del Mar. Come join the casineros for a Meet Up at this lovely dance venue and listen to the live music of Manny Cepeda's Orchestra. COST: Free! Feel free to buy drinks to keep the patrons happy! ATTENTION!!! HOT OFF THE PRESS WIRE!!! To all of our dear faithful and adoring friends on Facebook. We are honored and pleased to announce the San Diego appearance of EL SEXTETO SONERO DEL CARIBE, LIVE IN CONCERT at the SAN DIEGO WESTGATE HOTEL on FRIDAY, JULY 3rd from 6 - 9 PM. 21 & OVER, $20.00 cover. PLEASE join us in kicking off this 4th of JULY Holiday weekend -- SEXTETO STYLE! Your MC for the evening will be MR.CHRIS SPRINGER, HOST OF THE "LATIN GROOVES" radio show, EVERY SATURDAY FROM 12 - 3PM. BRING YOUR FRIENDS & YOUR DANCING SHOES! WE LOOK FORWARD TO SEEING YOU THERE!!! Summer Afro-Cuban Dance Workshop in July!!! This summer, join us in exploring Bantu, Arara & Yoruba dance traditions of West Africa as preserved in Cuba for over 500 years! 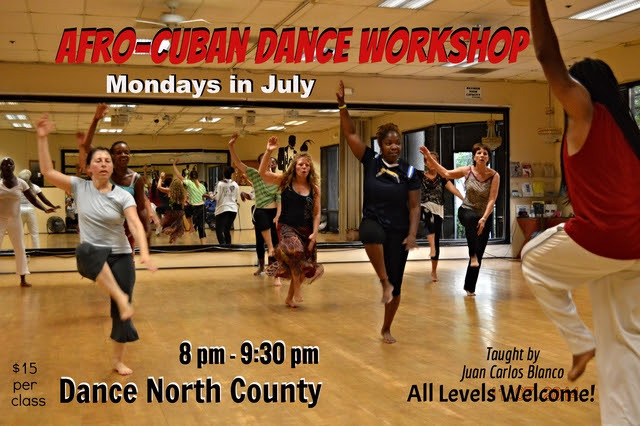 This Afro-Cuban Dance Workshop will be offered for 4 Mondays in July at Dance North County and will be accompanied by live drumming!